NEWLY REMODELED! 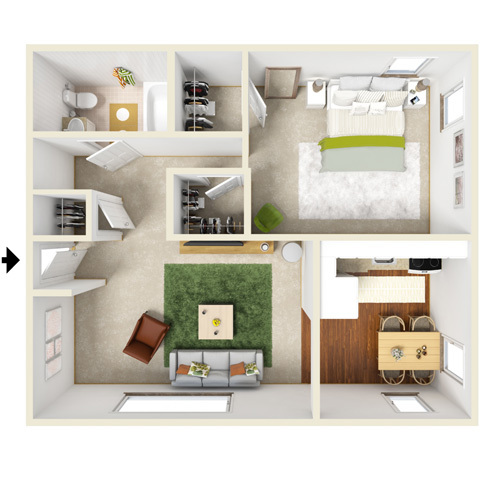 The one-bedroom, one-bath apartment has 600 square feet of living space and rents from $645. 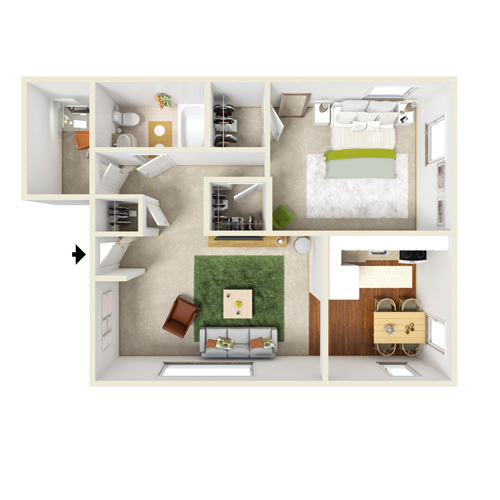 This floor plan includes a large bedroom with walk-in closet, a coat closet, and a linen closet. The L-shaped kitchen overlooks the open living and dining area. This apartment is priced from $645 – $655. Get a bonus office or den in this one-bedroom, one-bath apartment. The one-bedroom with den has 650 square feet of living space and includes a large bedroom, ample closet space, and a large kitchen.